Do you think you win in a fair fight pitting you against Miles Teller? Bleed for This – Show me how you fight! Bleed for This – We’re gonna start the weigh in. Instead of calling him the Pazmanian Devil they should have called him the Cyborg or the Terminator, lol! The movie Bleed for This will be released on November 18, 2016. Miles Teller looks in really good shape, he must have working real hard for this real. That said, he still has a somewhat chubby face, doesn’t he? The film will hit theaters on November 18, 2016. Is he wearing a boxing robe or is it just a kitsch bathrobe? Miles Teller did bulk up for the role and is showing true dedication and talent but well, his puppy face kind of weakens his performance here. That said, the film still look interesting. 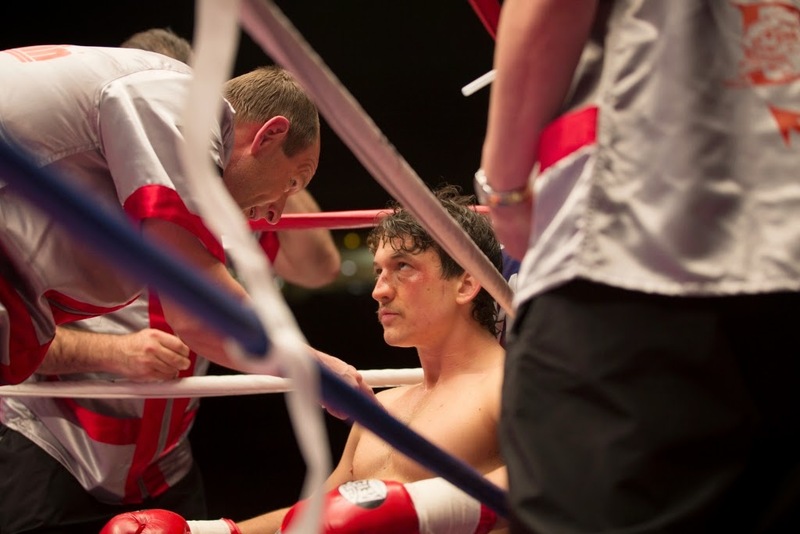 The release date of the movie Bleed for This is set to November 23, 2016. Paz, aka Vinny Pazienza, aka The Pazmanian Devil, talks about his life and his career.